This year Passover and Easter overlap. Regardless of whether you’ll be dyeing and hiding eggs or placing an egg on a Seder plate, for most of us, these events involve some sort of significant family time. For me, this means heading back to my parents’ house in New Jersey, acting as my mom’s sous-chef as she makes hundreds of matzoh balls and attempting to convince my father to shorten his four-hour Seder (no success so far). On the good days, I have a response for this. On many days, though, the answer is a big fat “I don’t know.” Over the years, I have developed coping strategies for living with the Not Knowing that is inherent to this business and for finding ways to let that uncertainty fuel me. But all that balance tends to fly out the window in the midst of a large family gathering when even the most well-meaning relatives can make you feel like you’re on the defensive when it comes to a career in the arts. Here are a few things to think about when it comes to dealing with your family and their questions about what you do. These days, writers aren’t the only ones who have to pitch their stories. As a performer, you are your “product,” so you need to always have a pitch for yourself ready to go. Not only is this necessary for industry situations, but it can also come in handy when dealing with Aunt Zelda’s annual inquisition about the state of your career. Wow her with your 45-second answer, and then change the subject with a question about what’s happening in her life. Chances are, she’ll be more than happy to fill you in on the gossip from the retirement community. Not only will this maneuver get you out of the hot seat, but also knowing you’ve got your elevator pitch ready to go will alleviate some of the pre-visit stress that can build up in anticipation of these kinds of conversations. Creating an elevator pitch can be an empowering exercise. Of course, if you’ve just completed a project, it’s easy – all you have to do is figure out how to talk about it in a succinct yet enthusiastic manner. The challenge is when you are between gigs. And that’s where this task can really serve you. Ask yourself what in your current creative life is exciting you right now. Maybe you’re finally studying with an acting teacher who’s been on your dream list of mentors. Perhaps you’ve just moved up a level in improv class or you’ve booked your appointment for new headshots. Maybe this time between gigs means you’re going to update your website or dive into that pile of plays that’s been gathering dust on your nightstand. So much of a performer’s work actually occurs between “the work.” Finding a way to be genuinely excited about what you can accomplish during the downtime – and a way to talk about it – is a skill that will serve you throughout your career. Figure Out What You Need. And Make Sure to Tell People. Everyone deals differently with the process of auditioning. Some people love talking about every role they read for; others avoid the topic like the plague. I fall into the latter camp. I learned early on that one of my coping mechanisms for dealing with auditions is to not talk about them. Not to my friends, not to my spouse, not to my parents. Sure, sometimes a buddy or a coach is involved with helping me prep, but they are pretty much the only ones who know what’s about to go down. After coming out of a casting session, I generally take a few minutes to think about how it went and if there’s something I can learn from what I just did, and then I move on to whatever’s next. Because many times, even if things go incredibly well, someone else will end up booking the job. This habit can be difficult to maintain when it comes to relatives. I am extremely lucky to have parents who are very supportive of my chosen career path, even when they don’t understand exactly how it works (hell, neither do I!). However, if I tell my folks about an audition, inevitably they will ask how it went. If I’ve heard anything. If I’ve booked the job. If my agent got any feedback. If I know if someone else got cast. If there have been any updates. They ask these questions because they care. Because they want me to book the job. Because they are my number one fans and they think I should book the job! But these are the questions that drive me insane, because every time they come up, I have to face the fact that I probably have not been hired. It magnifies and prolongs the rejection. Part of this career is taking responsibility for your own self-preservation. Figure out what works for you, and then tell those you love what you need. And if possible, explain why. At first when I told my folks that I didn’t want to talk about auditions, they thought I was shutting them out. They were hurt. Especially because they thought they were being encouraging. But once I let my parents in on the psychology of why I didn’t want to talk about things, they were able to respect my wishes. And they felt even closer to me because I’d made them privy to some of my deeper emotions and fears surrounding what I do. Part of the frustration for creative types during a visit home often stems from the fact that a lot of people outside the entertainment business don’t know or understand how the industry functions. We usually don’t work a regular 9am – 5pm schedule. Health insurance and retirement plans aren’t routine benefits unless you work a certain number of hours or reach a specific income threshold under union contracts. Many people have “survival” jobs while moving down the path towards making a living from artistic endeavors. And a big part of our work involves finding the time to dream, to imagine, to conduct thought experiments. All of this can seem very strange from the outside, which can result in a lot of questions about what you do, or even worse, expressions of doubt and advice to get a “real” job. If you can learn to talk about our industry in terms that those outside of it can relate to, you can put a stop to some of the chatter, or at least change the type of conversation you have about it. For example, I used to program film festivals. The only knowledge that my relatives had about these events was the headline on grocery store tabloid about Paris Hilton cavorting down Main Street at Sundance. This didn’t help with getting them to try to take my career seriously. I reframed the conversation by explaining that a film festival is like a conference or a trade show. Each “company” is a film, and instead of having a “booth,” they show their wares in a movie theater. Like any conference, there are networking events (parties), panels and educational components. The goals at a film festival are similar to those of most conference or trade show attendees: meet the people who can help you do business, and hopefully make a sale or two. Putting my work into a context my parents could understand allowed us to talk about it in a way that worked for all of us. Place your passions above the pressure, and wait it out with a smile. Deciding to choose fulfillment over total familial peace is a choice that many artists are faced with. As such, a great deal of them cave in to the pressure from family members every day and fall away from their true callings. However, if you can determine within yourself that your art will be your outlet as well as your income source one day, no matter what the sacrifices may entail, you can handle those snide comments at family gatherings with a little more patience. After all, you know where you’re going. They can catch up when you get there. Good luck at your next family gathering, whatever the occasion. If you’ve got tips on how to survive the trip, please share them in the comments. Tamara Krinsky is an actress, journalist and new media producer. 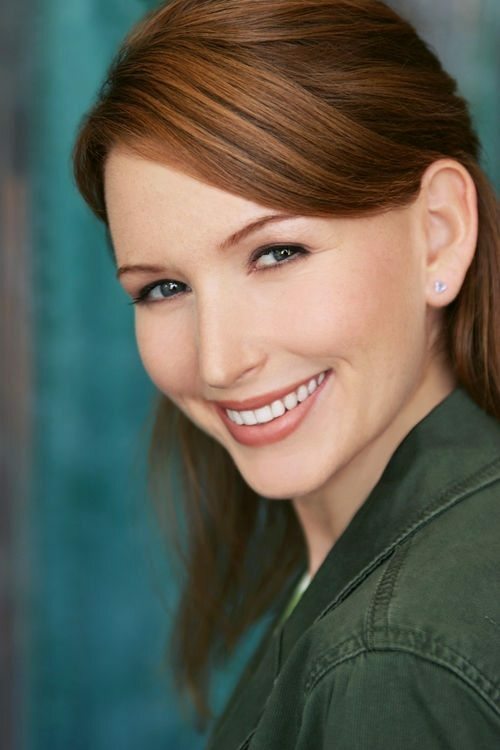 On-screen adventures include roles in SEVENTH HEAVEN, CHARMED, ALL MY CHILDREN and STAR TREK: FIRST CONTACT, as well as web series for Vuguru and Comedy Central. She is a member of the award-winning classical theater ensemble The Antaeus Company, and has also appeared in comedy shows such as MORTIFIED!, and SHOW & TELL (UCB). As an on-camera host, she’s done everything from anchoring Marvel’s Live Red Carpet premiere for THE AVENGERS to hanging out in labs exploring regenerative medicine for PBS’ WIRED SCIENCE. Off camera, she’s currently the New Media Program Manager at the Writers Guild of America, West. Previously, she was a Producer at marketing firm Crew Creative, where she strategized and produced online content for clients including Discovery Channel, TLC, and Warner Independent Pictures. Krinsky’s writing has been published in/on DOCUMENTARY Magazine, Tubefilter.tv, Variety, Filmmaker Magazine, and ScientificAmerican.com.